Since 1988, Craven Construction has earned a strong reputation for excellence and integrity in the design and construction of religious facilities and commercial facilities across Ohio. With a track record of successful commercial construction projects, we have the experience to guide you through the building process from start to finish. As a family owned commercial construction company, we are flexible and able to work on any size project. We can offer high-value, competitive pricing and work within your budget. It takes an experienced team to design and build the church that can take your ministry to the next level. It requires experience working with building committees and boards to actualize the vision of your leadership into an awe inspiring facility while staying within budget. The Craven Design-Build team brings full control to ensure a well flowing project. 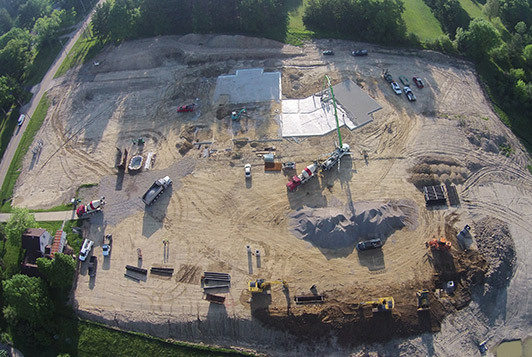 You will not find greater stewardship for your congregation than working with Craven Construction. We’ve simplified the construction process from start to finish with the Design-Build method. One entity, the Craven Design-Build Team, works under a single contract with the owner to provide both design and construction services. The single contract between the owner and the design-build team streamlines the entire process to complete a project efficiently – focusing on completing your quality building in a timely manner without increased cost. We eliminate the risk and frustration often associated with a construction project by coordinating the entire project, and being there to manage all phases from Schematic Design to Finished Construction. Call us now at 330.854.6900. The earlier you contact us in the process, the better we can serve you in providing assistance with land development through design and build.